After accepting some hard truths, I decided that the next step in my return to hockey was to transition from an old school "stand-up" goalie towards the modern "butterfly" technique used exclusively in today's game. I scoured Ebay and my local Craigslist for suitable pads- namely something made after the turn of the century that would serve as my transition pads. 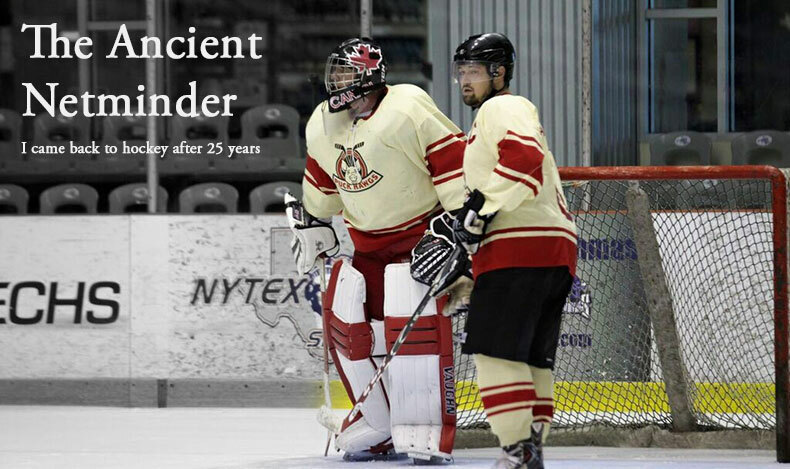 What I quickly realized was that I didn't have the vocabulary of the modern goaltender and I knew less than squat about modern pads. I set out to get educated and landed on the small but extremely knowledgable community at ModSquadHockey.com . Senior member, "Law Goalie" not only answered all of my questions about modern pad design, he guided me through the creation of a pad anatomy diagram. 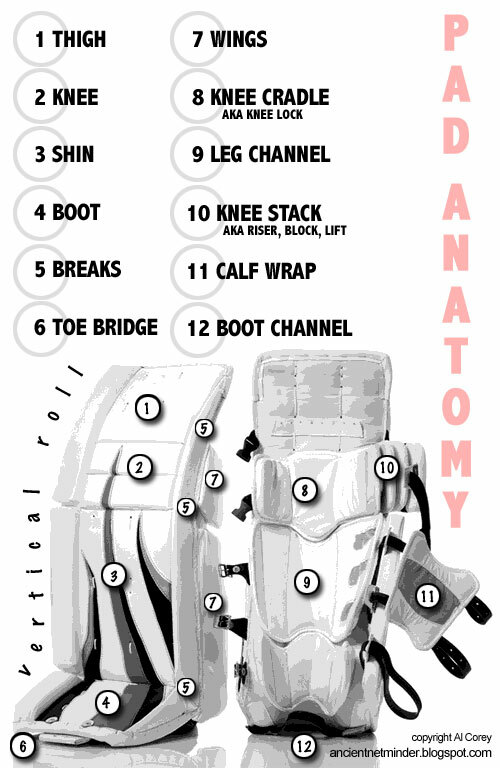 I hope this illustration is a help to anyone wanting to learn more about modern goalie pads. With my new found knowledge I continued my quest for replacement pads for my Manny Fernandez customized Heaton pads, circa when-baby-jesus-was-born. Ebay don't fail me now!